We have done the homework for you and can honestly say you will not find any better value for the money than the solid technology, feature rich Spartan Wireless Cellular Scouting Camera. Once you discover the advantages offered by Spartan Cameras - you will never want another game camera or to be unconnected from a cellular network again. The Spartan GoCamTM is the next-generation scouting tool which can send motion-triggered or time-lapse pictures to email, including your cell phone. 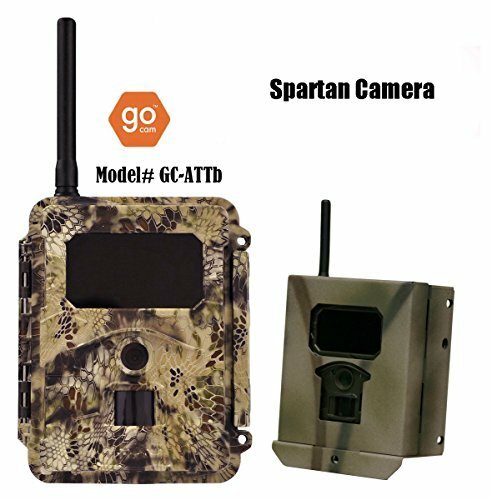 The Spartan GoCamTM mobile scouting camera provides the advanced tools you need for scouting and hunting, wildlife research, surveillance, and other applications where it's important to see your photos when they are taken, not days or weeks later. The GoCamTM is compatible with HCO GoWireless Web and mobile portal, the ultimate camera and photo management solution. Spartan provides the most advanced wireless cellular camera technology on the market today. The Spartan cameras are fully certified by Verizon and AT&T. Spartan cameras combined with the GoWireless Service portal puts you in control. Take advantage of the user friendly web portal, mobile apps and PC applications. No Contract, Pay As You Go The Spartan GoCamTM uses an AT&T DataConnect Pass mobile broadband plan. No long term commitment required. Activate, deactivate, or reactivate the plan at any time. Monthly data plans start as low as $10.00 per month.